The Eastern Wyoming College (EWC) Men’s Rodeo Team finished fourth in the nation at the College National Finals Rodeo (CNFR) held June 9-15 in Casper, Wyo. The EWC Men’s Team qualified for the CNFR by winning the Central Rocky Mountain Region (CRMR) for the 2012-13 season. At the CNFR, each contestant competes in three rounds. The top 12 in each event qualify for the short round and the national champions are determined by the best time or score on four rounds. Over 400 cowboys and cowgirls from over 100 universities and colleges compete in the CNFR in Casper each year. North Dakota natives Derek Weinreis, Beach, ND and Levi O’Keeffe, Mohall, ND won the reserve national championship in the team roping. This was Weinreis and O’Keefe’s second consecutive qualification to the CNFR. The duo placed third in the second round with a 6.2 second run, sixth in the third round with a 6.6 second run and second in the short round with a 6.1 second run making their time on four head 26.2 seconds. Also contributing to team points were Troy Wilcox, of Red Owl, South Dakota, and freshman Cotey Hanson, of Berthold, North Dakota. They placed fifth in the second round of the team roping. “They had tough luck in the third round and were just three places shy of qualifying for the short round,” Clark said. As the Central Rocky Mountain Region All-Around Champion, Wilcox also competed in the steer wrestling and calf roping at the CNFR. He qualified for the short round in the steer wrestling. Rounding out the EWC team competing at the CNFR is Dustin Dailey, of Long Pine, Nebraska. 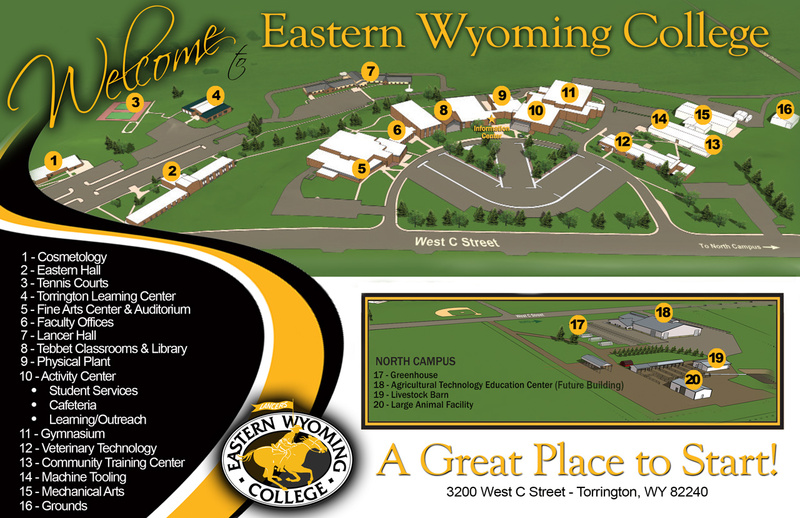 The Eastern Wyoming College Rodeo Team starts the 2013-14 season Sept. 13-15. There were a total of 27 teams in the tournament. It is estimated that the tournament raised approximately $10,000 which is the highest earnings in tournament history. Funds raised at the tournament are used by the foundation to support EWC students. For more information about the EWC Foundation activities, please contact Oliver Sundby, Director of Institutional Development at 307.532.8304.